ressources ? How can anybody say that the developpment of the windows/OSX/IOS versions will be slowing down when we don't know the team, their skills, the financial health of Serif ? You have only posted once when posted your petition, but for long time, around here this has been asked and debated, got as well a number of replies from them. As mentioned, is not the ultimate problem. Yet for , again, all we know from staff replies, isn't a walk in the park. Oh, well, in that I totally agree. Yet tho, is logical that they just don't make the Spanish tale of "El cuento de la lechera". They maybe prefer to just adhere to what is here now (not the doubtful sells of tomorrow), when, as even present in that very statement, we actually don't know... Which is very different to knowing for sure, where you must definitely then put most of the eggs (never all) in one basket. Wish I could do that with lottery, or even just stock options, Wall Street stuff and etc... I'd stop doing graphics for people, that's for sure. I come from France where we spell it "développeur" ^^. And we Anglophones stole "développeur" and then changed the spelling to "developer" so as to confuse the police. Hmmm, I wonder where we stole "police" from? About the staff (teams) size, well, is just a very small sample (and you could collect these all over the place from years of posts, but is easier for us who actually remember those) just a very recent post from staff (not tagging this person, as I suspect it'd divert their attention : Have read (again, from staff) is also not a nice thing to tag them about chit chat matters) which was all about some petition to do and maintain a technical guide : "A technical user guide would be a nice idea but we don't have the manpower to keep it updated as well as the videos, workbooks and other documentation. " Ahaha, I don't know any developer who likes writing documentation. I just removed my linux os from my laptop (went away when windows 10 screamed me 2 years ago) a few days ago, installing Windows 10, to get the affinity products running. It was unbearable for me to work with it. In my opinion it's non-professional to work with it. It's more like a alpha of some (failing) experiment. It became even worse than it was about 2 years ago. Two days Later is installed Windows 7 and now i can work ... but Windows 7 Support will end in 2020. Since I've been watching Valve for quite some time, the idea came to me of whether Affinity could partner with Valve. Valve is interested in becoming independent from Windows (Microsoft). For this purpose, "Proton", an extended WINE for Steam, has been available for four months. Under www.protondb.com there is a community platform, on which the executability of games is documented. With Valve as a direct partner, the affinity products could be made executable accordingly. The Affinity products would be a great move to also have a potential program as a showpiece. I expect Valve to work with game developers to make the games executable. Serif could do the same with its affinity products. A deal would have to be for Valve to promote this port accordingly. It's quite possible, however, that Valve would like to do the exclusive distribution for Linux via Steam for one year in return. Wouldn't it be interesting for Serif to check out Valve? Might be a win-win-deal for Serif and Valve. BUT for developing something like Affinity Designer/Photo for Ipad, I think they have some wizards in their team. 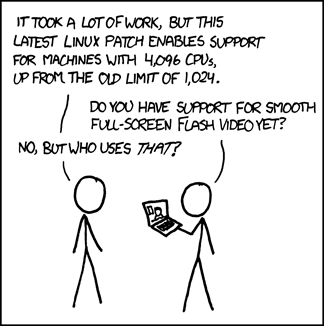 A linux version seems far less challenging to me. The Mac & iOS operating systems are more alike than they are different. Besides, the Affinity apps grew out of a research project at Serif that was run in older generation iPads, so it was not as challenging as it might seem for them to develop the iPad versions. We also know that there have been & still are a few unresolved issues getting the Windows versions to run as smoothly as the Mac ones, & that there are a few things all Macs support out-of-the box that require third party additions to Windows for that OS to support. 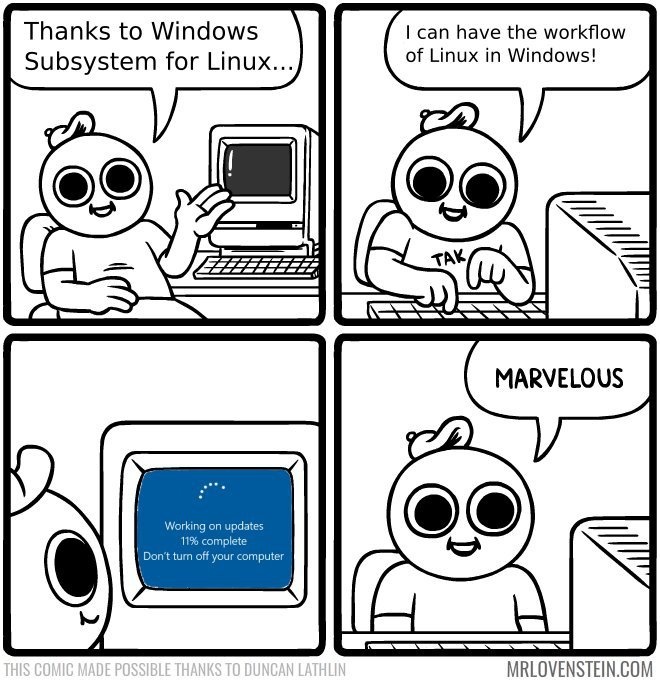 "maybe the Windows Subsystem for Linux helps?" there are lots of front-end and web developer using linux. I am one of them. Ok, their is something that is going on this week in adobe user voice forum more than 8000 votes for linux version and votes are increasing rapidly its happened in just one week. All we want some good professional design tools to work in our choice of platform. Most design tools only available for mac only - Sketch, Adobe xd , Invision, Framer and we all know why. Building Affinity for linux - you guys will make revolution in linux world. +1 it also make available in Chrome OS and Samsung Dex. 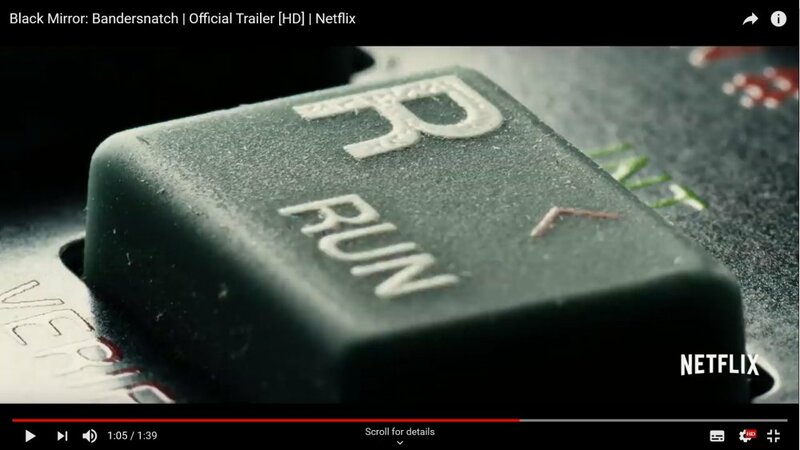 Is too short, that frame... is that actually a ZX Spectrum 48k key ? I made my first "pixel art" (and even some games) with that ...er...thing. Ok, their is something that is going on this week in adobe user voice forum more than 8000 votes for linux version and votes are increasing rapidly its happened in just one week. Did you read what Patrick Palmer (a "Principal Product Manager, Editor") said about dealing with other requests vs. the viability of adding a new platform; that it is really about supporting several if not many OS variants, not just one; or a potential loss of functionality outside the core application for years to come? The Publisher beta has more than 150,000 users. It is always going to be about the numbers, but the number of users willing to buy Linux versions is only one part of it. Like the Adobe product manager said, it is also about the number of feature requests that would take priority over adding a new platform, the number of platform variants to support, the number of support staffers needed to provide adequate support for all of them, & the number of months or years required to develop & debug these versions to the point retail versions could be released that would generate enough revenue to justify the project. There is a trend towards multiplatform software. I say most today. I believe it was a brief research indeed something that will be the future soon. Non-cross-platform software will be obsolete. 8500 votes for Adobe on Linux. Adobe is reviewing it officially. What software is the first that supports Linux, will get many new users. Especially many switchers from the other camp. How many users does Adobe have? 8500 interested is a tiny proportion. Do you seriously think all 8500 would want Affinity on Linux? No, i think many more then 8k want Adobe on Linux. Yes early bird gets the worm. Adobe is a really big bird. Once Adobe starts eating the worm, I think all eyes (including the main focus of Canonical's app store support) will be on them, not on Affinity, should they go for the worm too.